Singapore -- I read with interest a report in Temasek Review that some Singaporeans have called for Ming Yi, the former CEO of Ren Ci hospital to disrobe after he was convicted on charges of fraud and lying to the Commissioner of Charities. << Ven. Ming Yi - Should he be disrobed for his financial miendeavour at Ren Ci Hospital? It is indeed sad and disappointing that the once famous and inspiring Buddhist monk in Singapore has broken his precepts and break the hearts of his faithful lay disciples and supporters. Ming Yi has already been punished for his mistakes. Should he still dorn the saffron robes of a Buddhist monk or should he renounce monkhood to prevent bringing the religion into disrepute? 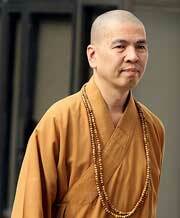 Though regretful, Ming Yi’s actions have not tarnished the name of Buddhism in anyway. 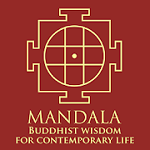 The Buddha taught human beings a method to achieve real and eternal happiness. 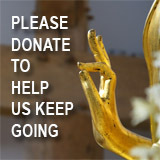 The dhamma, or the teachings of the Buddha, is simply a path leading to the eventual goal. I am not well versed in the Mahayana school to comment on whether Ming Yi should disrobe. In the Theravade school of Buddhism, to which I belong to, the monks are restrained under the Patimokkha, or a code of conduct comprising of 227 precepts formulated during the Buddha’s time more than 2,500 years ago. As long Ming Yi did not commit any of the above offences, he does not need to disrobe at least according to the Theravada school. Buddhism does not discriminate against individuals who have broken the laws of their lands. The Buddha taught that ignorance is the root of all sources of human suffering. Unless one attains Enlightenment or Nibbana, he/she will still make mistakes due to delusion, greed and hatred. In the Pali Canon, there is a story of a highway murderer named Angulimala who became a Buddhist monk and attained Nibbana which is seen as an example of the redemptive power of the Buddha’s teaching and the universal human potential for spiritual progress. Angulimala’s original name was Ahimsaka and he was a talented and favourite student of a Brahmin during the Buddha’s time. However, the other students grew jealous of his speedy progress and sought to turn his master against him. To that end, they made it seem as though Ahimsaka had seduced the master’s wife and boasted that he was wiser than the guru. Unwilling or unable to attack him directly, the teacher said that Ahimsaka’s training was complete, but that he must provide the traditional final gift offered to a guru before the teacher would grant his approval. As his payment, the teacher demanded 1,000 fingers, each taken from a different victim, thinking that he would be killed in the course of seeking this grisly prize. Ahimsaka became a highwayman, killing travelers who passed through the forest. When the people of the kingdom began to avoid the roads, he entered the villages and dragged people from their homes. He never took clothes or jewels from his victims, only fingers. To keep count of the number of victims that he had taken, he strung them on a thread and hung them on a tree. However because birds began to eat the flesh from the fingers, he started to wear them around his neck as a garland. Thus he came to be known as Angulimala (”garland (or necklace) of fingers”). Villagers petitioned the king to hunt down Angulimala. Fearing for her son’s life, Angulimala’s mother set out to find him and warn him of the king’s intent. The Buddha perceived with his “divine eye” that Angulimala had slain 999 victims, and was desperately seeking a thousandth. If the Buddha encountered Angulimala that day, he would become a monk and subsequently attain Nirvana. If Angulimala encountered his mother instead, he would slay her as his thousandth victim and fall into hell for millennia. The Buddha set off to intercept Angulimala, despite being warned by the people of the village in which he was staying. On the road through the forest of Kosala, Angulimala first saw his mother who came to warn him of the impending arrival of the kings’ army. Angulimala, after some deliberation, decided to make her his 1000th victim. But then when Buddha also arrived, he chose to kill him instead. He drew his sword, and started running towards the Buddha. But although Angulimala was running as fast as he could, he couldn’t catch up with the Buddha who was walking calmly. This bewildered Angulimala so much that he called to the Buddha to stop. The Buddha said that he himself had already stopped, and that it was Angulimala who should stop. Angulimala asked for further explanation, after which the Buddha said that he had stopped harming living beings, and that Angulimala was still harming and hurting living beings. After hearing this, Angulimala changed his ways, vowed to cease his life as a brigand and joined the Buddhist order. Angulimala eventually attained Nibbana and became an Arahant, the highest stage of sainthood in Buddhism. Angulimala’s story serves as an example that even the worst of people can undo the faults in their beings and return to the right path. If Ming Yi has realized his mistakes and truly repent, we should forgive and embrace him with an open heart. Being fellow wayfarers in the endless rounds of Samsara, we have no right to judge him. Ming Yi has already been punished for his offences. He should not be punished twice by being stripped of his saffron robe. If his heart is still with the Buddha, he should be permitted to continue his practice and who knows, he may be able to attain Nibbana in this very lifetime too, like Angulimala.